Posted March 6, 2018 & filed under Lifestyle, Owners' Stories. The absolutely stunning Ackerman Heritage House in the Napa Valley was built in 1888 in downtown Napa by famous Bay Area Architect Luther Turton. After a history of being owned and occupied by multiple families, this 130-year-old Victorian mansion was purchased by Lauren Ackerman, who also owns Ackerman Family Vineyards, in 2010. You can read more about the home’s history here. 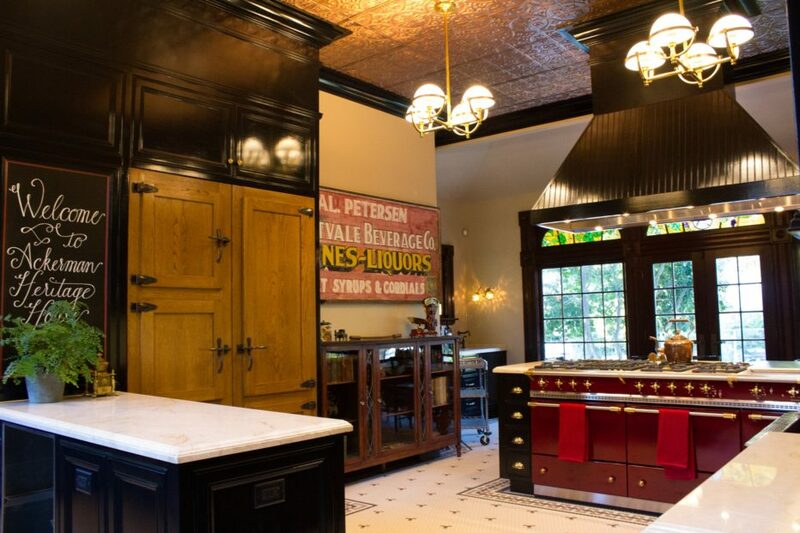 As many of our clients have undergone a major remodel or renovation to produce their dream kitchen, our story begins here. Bringing the Heritage House back to its intended beauty, utilizing period-correct pieces, took five long years, but what she has created is a gorgeous place for the Napa community and visitors to the area to enjoy. Lauren describes the lengthy process, and how her range became the center of the kitchen remodel, below. Lauren’s experience in wine, food and hospitality makes the use of her Burgundy Red Sully 1800 Lacanche particularly interesting! The house is used for all sorts of events and several amazing chefs from the area have cooked in the kitchen – including, Ken Frank of La Toque, Victor Scargle of Bardessono, Sarah Scott, Michael Ginor of Hudson Valley Foie Gras, Mark Dommen of One Market, Private Chef Kelly Mac Donald (Exec. Sous Chef for two US Presidents), Tony Gemignani (author of The Pizza Bible), and many others. Coming up next: Chef Charlie Palmer! I asked Lauren to answer a few questions about how she chose her Lacanche range and how it is being used today. Q: How did you choose your Lacanche range? LA: I purchased the Lacanche as the best alternative to the La Cornue brand, which I was very familiar with. In looking at what would best suit my project at Ackerman Heritage House, I felt the look, style, capabilities and access to service were better suited to my needs. Plus, the pricing was also more approachable for my budget! Q: Where there any features that really attracted you? LA: The feature that attracted me the most was the ability to have up to eight burners plus a built-in grill. Also, having two ovens along with the warming area was a big plus. Ease of keeping it clean was also a feature. And finally, the whole “old world” look of the range/stovetop was perfect for the look and feel of my 1888 Victorian kitchen restoration. Q: How often do you cook on the range? LA: We use the range several times weekly for various wine and food lunch and dinner events. It’s a really big hit with visitors who “oooh” and “ahhh” over it each time they are in for a tour of the house! We use it frequently for a variety of events and it is always commented on as to its size, beauty and capability by everyone who sees it. We’ve had over 6,000 visitors to the house since we opened in September of 2015 – the kitchen, and specifically the Lacanche range, is always a big hit! Everyone comments on how they would love to cook on it! LA: The Lacanche range has been the heart and soul of this 5-year restoration process and is the centerpiece for the kitchen, the biggest renovation of all within the house. When I got the house, there were four rooms in the kitchen area: two dilapidated pantries, a kitchen area with only a built-in sink – no appliances or cabinets, and a step-down sunporch that was in such bad condition, we had to completely rebuild it. We took out all the walls and made one large kitchen area, reminiscent of the Victorian area, but a thoroughly modern and professional kitchen for today’s chefs. The Lacanche range is the star in this kitchen and one that everyone wishes they could cook on or own themselves. It has been the focus of numerous photos taken by visitors since our opening in 2015. 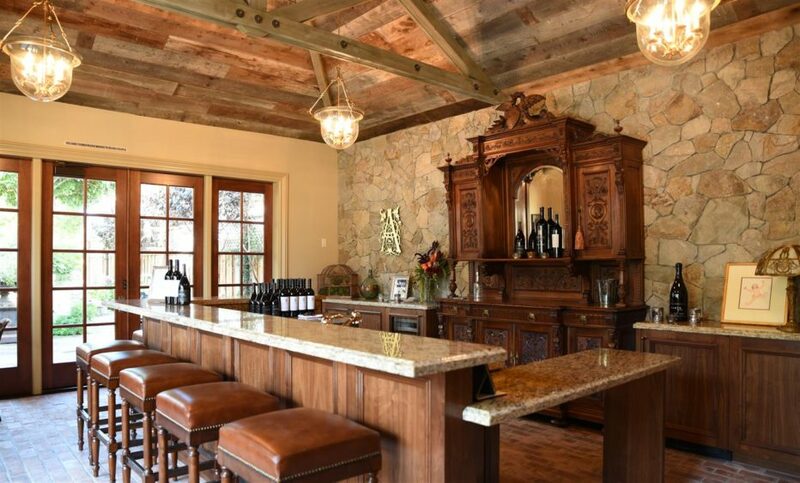 It was also the reason Ackerman Heritage House was chosen to be the premiere property for the popular “Kitchen in the Vineyards” tour in 2016 when over 800 people attended the property in one day just to see this kitchen! All in all, it has been a pleasure to own and use this remarkable piece of culinary equipment and I know it will serve us well for years to come. Even my family, most notably my 21-year-old son, has cooked on this range. He prefers to cook on it over our range back at our vineyard property! 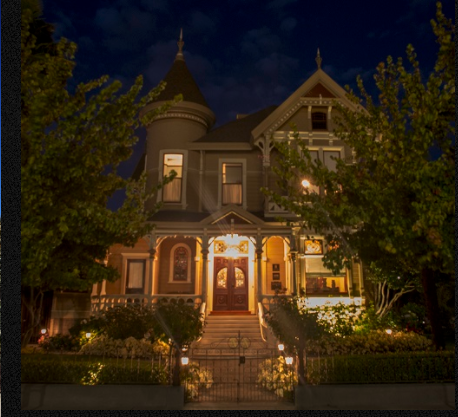 If you find yourself in the Napa Valley, be sure to check out the Ackerman Heritage House. They provide a few different options for tasting appointments at “The Aviary” on the same property. More information here. And be sure to view Lauren’s Burgundy Red Sully 1800 while you are there!